At Lolly G’s Hair Salon in Stuart FL, we understand curly hair and all of its intricacies! Hair salon owner, Laurie Greene, speaks from personal experience when she works with salon guests who have curly hair. Being a curly girl herself, she has spent years discovering what works and what doesn’t. Curly hair has a different set of needs and requires a different daily care regimen in order to stay healthy, beautiful and frizz free. 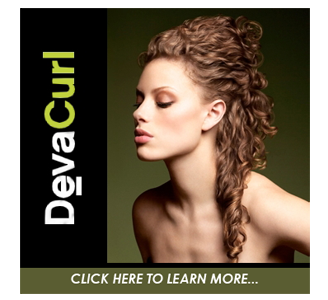 Deva Curl is a complete collection of hair products specifically developed for curly and wavy hair. These amazing products are available at Lolly G’s Hair Salon, and they are a must for anyone with curls! For drying, use a special Deva towel or paper towel to release water from your hair. A regular towel is too absorbent and will remove too much moisture from your hair. Lack of moisture contributes to frizz. Use an adapter for your dryer or let your hair air dry naturally. This will protect it from losing moisture from blow drying. Moisturize daily! Curly hair craves moisture, and the curlier your hair is, the more moisture it needs. 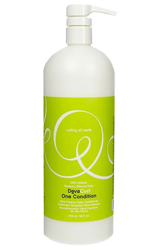 Use a conditioner such as Deva One Condition every day. Leave in conditioners such as Deva Curl B’Leave-in are also a perfect option for keeping your hair hydrated throughout the day. A leave in conditioner is very light-weight, and it will not weigh your hair down. For our Stuart FL hair salon guests that have wavy curls, we suggest using products that will define and enhance your waves. Start by cleansing your hair with Deva Curl No Poo, a wonderful sulfate free and paraben free shampoo that gently cleans your hair without lather. Then apply Deva One Condition. You can allow some of this conditioning product to remain in your hair after rinsing. For styling, apply either Deva Set Up & Above OR B’Leave-In to your hair and scrunch upward toward the scalp. For a looser curl, glide your fingers through the hair in a downward motion after applying the product. If you have Botticelli or corkscrew curls, your hair needs more moisture than wavy hair types. Your main priority is making sure that your hair stays properly hydrated in order to keep it healthy. In order to ensure that your hair receives adequate moisture, conditioning and frizz control, start your hair regimen with Deva Curl No-Poo. 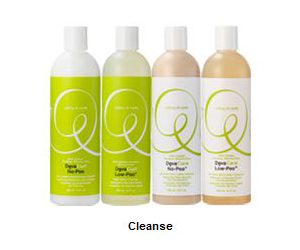 Contrary to what many people think, a shampoo does not need lather to cleanse. The lathering ingredients in many shampoos are what cause your hair to become dry and stripped of moisture. Sulfate free shampoos and conditioners are highly recommended for every hair type, but especially for curls. After shampooing, use Deva Curl One Condition. Allow some of the conditioner to remain in your hair when rinsing and scrunch your hair to give extra moisture throughout your curls. For styling, try either Deva Curl anGel or use Deva Curl Set It Free for maximum thirst prevention and hydration as well as frizz prevention. No matter what your curl type is, there are several other Deva Curl products that can enhance your style. A few are mentioned below, but for a complete list of products in our collection, call Lolly G Hair Salon in Stuart FL for details. If you are interested in a particular Deva Curl item that we do not have in stock, we will happily order it for you. This enriched curl refresher and scalp rejuvenator is infused with lavender to deodorize, refresh and revitalize all curl types. Tips: For mornings when you simply want to revitalize your curls, spritz DevaCurl Mist-er Right. An excellent solution for our Stuart hair salon clients who want to reactivate frizz free curls between cleansing and conditioning without the drying effects of a dry shampoo. Alcohol free, humidity resistant and conditioning, this volumizing foam provides long lasting, incredibly soft, frizz-free curls. Tips: For added volume at roots, apply to scalp first, and then glide through to ends before scrunching. 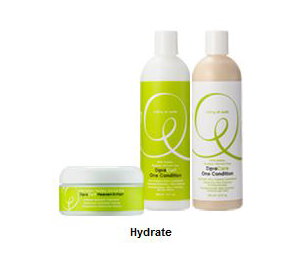 This intensive moisture treatment provides super hydration and is perfect for all curl types. Tips: Chemically treated hair needs extra hydration to repair itself. DevaCurl Heaven In Hair is an excellent deep conditioner for all curl types and processed hair. Tips: To further polish and define curls, scrunch DevaCurl MirrorCurls to the ends of curls after applying DevaCurl Light Defining Gel or once hair has completely dried. For more tips for curly hair, visit Lolly G Hair Salon in Stuart FL. We are Curly Hair Specialists and offer the best hair salon services in Stuart for curly hair!